"Kathy was a pleasure to work with throughout the process of opening their office. She is very detail orientated and values the opinions of her coworkers. It was great to see that Kathy involved staff in the decision making process. The end result was that we were able to maximize the space, create an impactful reception area and establish a great working environment." "We would not have sold our house as fast as we did and at the price we did if we did not use Kathy. She is very knowledgeable of the markets she serves." "Hey everybody there's no better realtor than Kathy Dames she has sold houses for me when nobody else could. Congrats Kathy on the opening of your new office." I wanted to take this opportunity to thank you. As you know I was with my previous broker for 20 years and that was because of my loyalty to them. I was very nervous to change. Now I realize that I should have done this a long time ago. RE/MAX is where I belong. This is because of you. You have one of the biggest hearts that I have ever seen. The encouragement and support that you give me as well as the other brokers, is something I am not accustomed to. You are generous, kind, and willing to go out of your way to help. The amount of support by the other agents and the positive atmosphere made me feel welcomed. You have each and every agents back and that is so important in this business. Even though we haven't known each other very long I know that you are a person I can trust. I hope you know that you can count on me too. Thank you for the opportunity to work with you and your company. "My experience with Kathy Dames was a very pleasurable one. She made the selling of my house extremely easy and explained every step of the process to me. From the first meeting with Kathy I knew she could get the job done. Kathy Dames and her daughter Shannon Dames were very knowledgable. The staff at Kathy Dames office were helpful and I always received a prompt response." "Kathy, Shannon, and Diane were all wonderful to work with! They sold our home in less than 1 month! I would highly recommend them to others!" "Kathy is very knowledgeable of her field of real estate and has alternatives if a home is not a fit for her clients. She is very prompt and conscientious." "I HIGHLY recommend Kathy Dames. She came through for me on a few occasions. I am in a home that I never dreamed possible. Thank you Kathy for going the distance and being so available and thorough!" "I have known Kathy for over 20 yrs. and I know that her Customers always come first, Kathy will be with you all the way from looking for Residential, Commercial and anything in-between, Help with your Financing all the way to the Closing and afterwards. Kathy's Dedication goes beyond that of any Realtor I have know, If I was looking for more properties Kathy would be the first one and only one I'd call." "I have dealt with many real estate professionals over the years, by far Kathy Dames is the best, a true professional. If anyone is looking far an agent in the area Kathy is the right person for the job, you will not be disappointed." changes and works in her client's best interests. She has an outstanding personality which defines the catalyst for success along with her intensity of hard work. She is really one of the best! "I have had the opportunity to use Kathy both selling and purchasing a home. She has a great understanding of the market and researches the business climate, individuals involved in the transaction. She is a true professional. "Kathy is a pleasure to work with -- she is detail-orientated and goal-driven professional. She is a knowledgeable, outstanding agent in the real estate industry and knows her market inside and out. "It was a pleasure being a colleague with Kathy Dames. 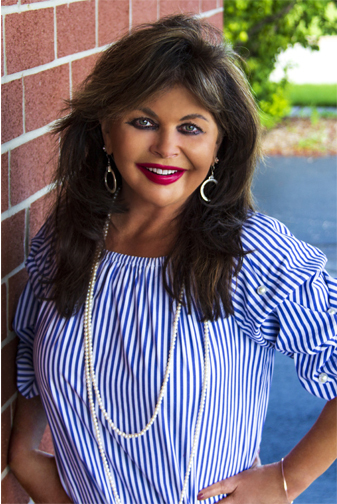 Kathy has many years of real estate expertise and is a true professional who cares deeply about all her clients." "Kathy is an excellent real estate professional. She works hard, is detail oriented and I would recommend her over any other agent in the area." "Kathy is a positive, forward-looking professional whose vision for Real Estate serves her and her clients very well. She has great attention to detail and has built a great team of both realtors and service providers."